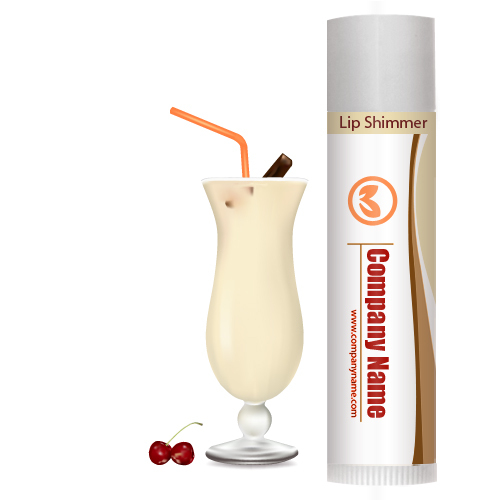 We process huge orders for custom eggnog lip shimmer w/white tube cap during Christmas and other winter festivals. This lip balm is becoming a very favored choice for extending winter greetings because it reminds of delicious eggnog (served as a warming winter drink) and spreads a happy-chap free smile over lips. This lip balm enriches texture of lips and saves it from dry spells. Health Quotient – PABA free. No animal testing. Made with natural and FDA approved synthetic moisturizers and skin nourishing substances. No quality or quantity enhancers added. Biodegradable. Animal cruelty free. Sweetened with saccharin. Directions – Apply eggnog lip balm during harsh weather to avoid cracked and painful lips. For enhanced effects, try using it with lip make up, too. 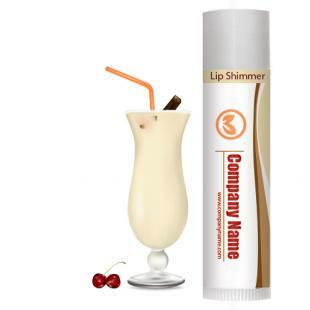 Gifting Favors – Custom eggnog lip shimmer w/white tube cap can be involved as a winter gift. It can be offered as an add-on or as an individual gift.